Back on March 3rd, Hovi Star was selected by HaKokhav HaBa L’Eirovizion, the Israeli national selection in order to represent Israel at this year’s Eurovision Song Contest in Stockholm. It had been discussed afterwards that they may have wanted to change the song. Today they revealed the updated version of Made of Stars. 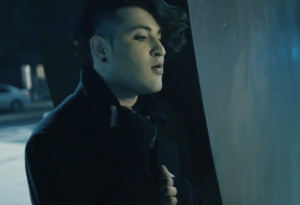 Following Hovi’s win of HaKokhav HaBa L’Eirovizion, his song Made Of Stars was selected to represent Israel at the 2016 Eurovision Song Contest in Stockholm. However, after Hovi’s victory, it was announced that the song could possibly be altered to a new song or have Made Of Stars revamped. The music video for Made Of Stars was released on Hovi’s official YouTube page and includes a brand new stripped down version of the song. Those of you familiar with the original will notice a huge difference in the sound as the song went from being a high energy power ballad, to a much more stripped down ballad, mostly using piano as the music to begin with and throughout the song much more orchestra sounds. 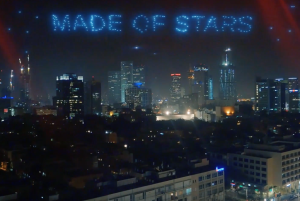 In the music video, Hovi walks around the streets of Tel Aviv at night as hundreds of drones fly around him and around the city representing the stars of the song, with the final scene writing the title of the song in the sky. Israel debuted at the Eurovision Song Contest in 1973. Since then they managed to win the contest 3 times. The first two wins were back to back in 1978 and 1979 with A-Ba-Ni-Bi by Izhar Cohen and the Alphabeta, and then with the song Hallelujah by Gali Atari and Milk and Honey. In 1998, Dana International took the third victory for Israel with her song Diva. Eurovision 2019 in Israel, but who should pay for it?